With another Nobel Prize season behind us after the winners picked up their prizes last weekend, it is worthwhile to consider the state of research and development in developing countries (or the "low end" of developed countries). Once again, and for the fourth time in less than a decade, an Israeli was awarded the Nobel prize for Chemistry, this time Professor Dan Schechtman of the Technion--Israel Institute of Technology, here. 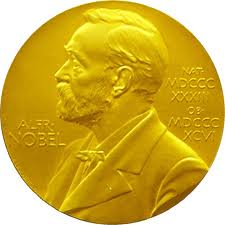 However, except for the oversized success of Israelis, especially in Chemistry, the track record of similarly placed countries regarding Nobel Prize awards has become more and more sparse out the years. Against that backdrop, The Economist published an interesting article in its November 5th issue. Entitled "Cristina the Alchemist: Science in Argentina", the article discusses the multi-faceted attempts of the Argentine government under successive presidents, first the late Nestor Krichner and more recently his widow, Cristina Fernandez, to upgrade the state of science and technological research in the country. 1. R&D expenditures has risen from 0.41% to 0.64% of GDP (although this is still far less than that expended for R&D in Brazil in 2009--1.18% of GDP). 2. Under President Kirchner, researchers' salaries were increased, an organized scheme has been put into place to repatriate Argentine scientists abroad, and tax breaks were given for the software industry. Under President Fernandez, a new science ministry was created and grants of money for new product development has been increased. 3. The state is financially supporting the cost of registering patents in jurisdictions outside of Argentina and lawyers' fees in connection with defending these patents. It is also supporting the placement of PhDs with employers in the IT area, including partial support of their salaries in this area. 4. Perhaps the most interesting result of the foregoing is that 854 scientists have returned to Argentina, lured by new labs and increased compensation. In turn, researchers have increased their presence in the leading scientific journals to 179 published articles during the past decade, compared to only 30 articles published in the 1990s. As well, there seem to be particularly noteworthy developments in agriculture and horticulture. 5. That said, reservations have been raised about the extent to which these scientists are engaged in industry-oriented enterprises. Moreover, the article is stone-silent on the extent of patent activity as a result of these efforts. At the macro level, it remains to be seen whether the Argentine government will stay the political course and maintain these policies over an extended period of time, much less whether these efforts will bear fruit at the level of Nobel prizes and similar achievements 15-30 years down the line. The example of Israel should provide Argentina with an example of how a mix of public and private activities can enable a marginally developed country to reach world-class accomplishments in science. The Israeli situation should also serve as a caution that continued vigilance is essential. While the country basked last week in the Nobel Prize granted to Professor Schechtman, the professor himself sent a pointed and clear message to the country's leaders: Unless you adopt a wide-reaching set of changes in the approach and support of science, starting from primary education, there will not be another generation of Nobel prize recipients. The implications for Argentina are clear.